True Skool Hip Hop vibes that move from modern electronic beats to sample-delic masterpieces glued together with conscious, lyrical raps. 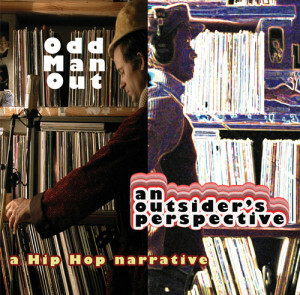 Odd Man Out represents an addition to the long tradition of the Bay Area’s socially conscious, message-based, genre-defying Hip Hop movement. Inspired by diverse Hip Hop veterans like Blackalicious, Tupac, Del, KRS-1, Rakim, Jurassic 5, and the Pharcyde. Odd Man Out never wastes a song on empty words or half-assed efforts.